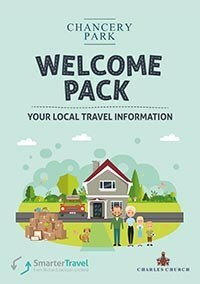 Welcome to the Chancery Park Travel Plan website that’s here to help you improve your local travel journeys.  Within these pages, you’ll find a whole host of information, advice and links to travel-related topics that will support you in making sustainable travel choices. Whilst it’s so easy and convenient to jump in your car for those quick local trips, did you know that you can save up to £279 per year in car costs, like fuel, maintenance and parking, if four of your five short journeys (those under 5 miles) were made by foot, bike or public transport? That’s a saving of £8.5 billion a year for all British drivers. Why not set yourself a challenge to walk or cycle one of your regular journeys? Start with the shortest trip you do on a weekly or daily basis and build up from there. Before you know it, you’ll be surprised at how those small changes start to add up. ✔ Complete this quick online survey to receive your Personal Travel Plan and a £50 voucher* to spend at wiggle.co.uk, or a month’s bus pass to either Cambridge or Newmarket* (*Offers only available to residents of Chancery Park, full terms and conditions can be found here). For more detailed information about smarter travel choices from walking and cycling, to car sharing and public transport in your area, take a look at each of the sections below. If you have any questions or comments, do get in touch with your Travel Coordinator.